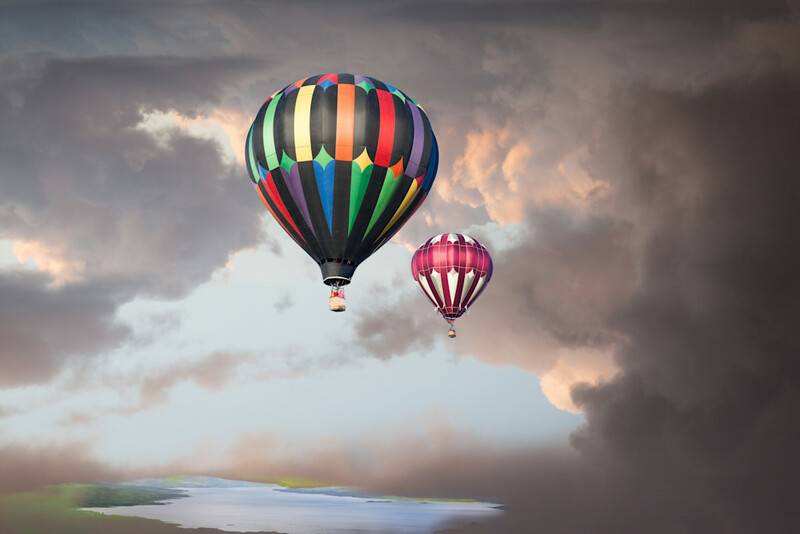 Reno Balloon Race, Photographs of Hot Air Balloons Soaring Into The Clouds. One of my favorite places to visit is the Reno Balloon Race in Nevada. This photomontage is an imaginary scene I created utilizing 3 images from different places during my travels.